Is This Captain Kirk’s Dream Home? Captain’s House was accepted to and sold at Maritime Miniatures by Maritime Masters show at Mystic Seaport’s Maritime Gallery, the Museum of America and the Sea, Mystic, CT. 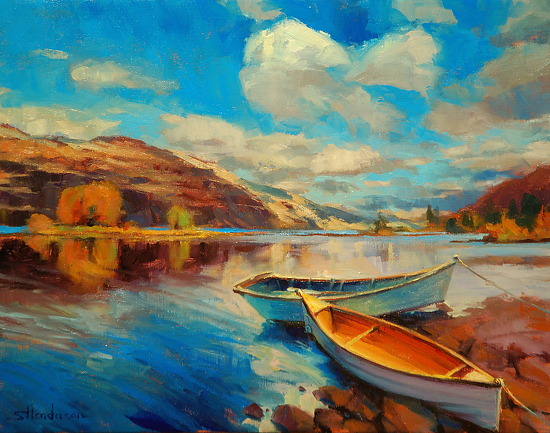 Original artwork by the Norwegian Artist is available for view and sale at Steve Henderson Fine Art Online Gallery. 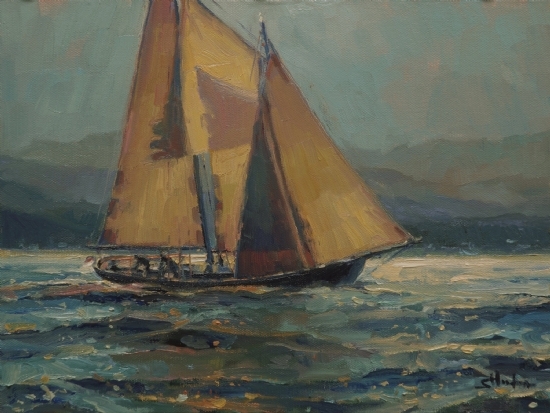 Emerald City Twilight received an Award of Merit at the 17th Annual Maritime Exhibit at Coos Art Museum, Coos Bay, OR. 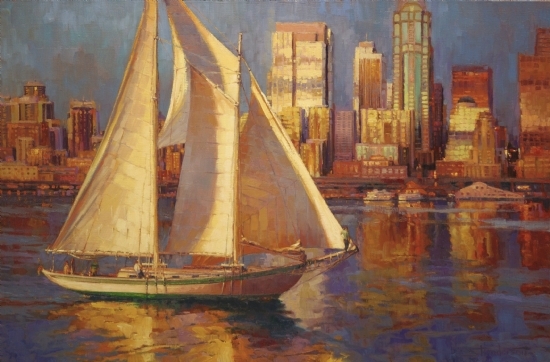 One of 66 pieces in the exhibition, Emerald City Twilight was one of eight pieces to receive an award. Also in the show by the Norwegian Artist are Saturday and Otter Rock Beach. 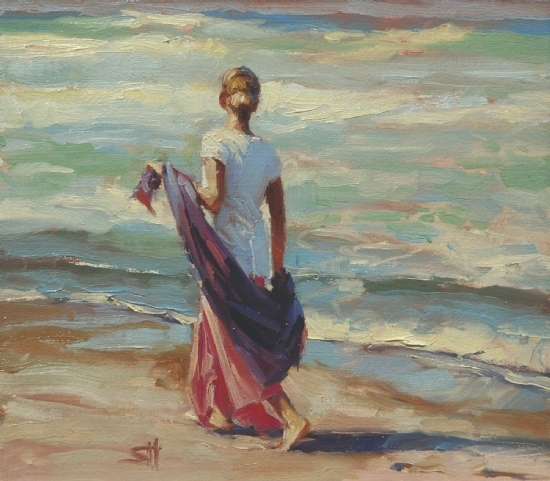 More works by the Norwegian Artist for view and for sale may be seen on his website, Steve Henderson Fine Art Online Gallery.